Markets.com offers traders a range of opportunities to trade shares, indices, commodity CFDs and currencies. Business is conducted worldwide and in several different languages. The broker features award-winning platforms and offers customer support around the clock on weekdays. At VIP level, clients get extra benefits, including automatic charting, trading signals and advanced strategies. The premium trading conditions also allow for a deposit bonus of up to $4,000, although terms and conditions do apply. VIP account holders are also eligible for welcome bonuses if they meet certain conditions. Additionally, they have a dedicated account manager. Unlike some other brokers, Markets.com does not charge a commission or trading fees. Instead, they include everything in the spread, which as a result is a little wider than other brokers. 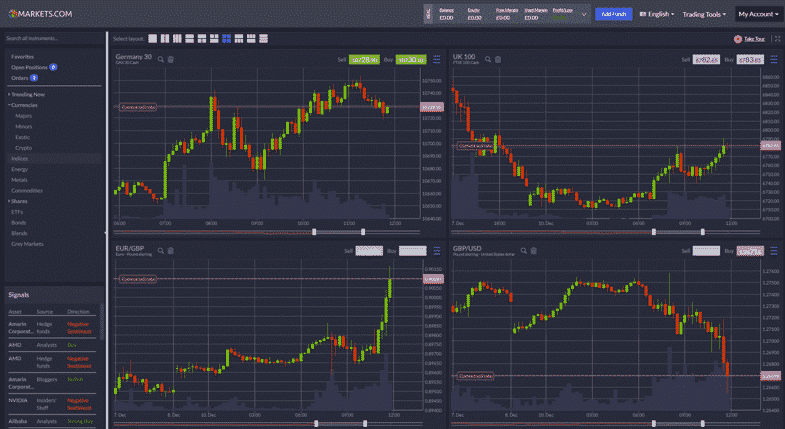 Spreads are fixed on forex currency pairs and a little tighter on the broker’s own Web Trader platform. Markets.com also offers third-party platforms, including MetaTrader 4 (MT4) and Siri. Traders find that these don’t have the same extensive products as those on the in-house Web Trader platform. Floating or variable spreads tend to be less expensive than fixed spreads, despite Markets.com advertising low spreads on EUR/USD at 2.0 pips or 3.0 pips when using MT4. Despite this offering, several Markets.com broker reviews note that the broker’s spreads are slightly on the higher side. Indeed, Markets.com has an average of 3 pips spread on the major currency pairs. Maximum leverage is also considered somewhat limiting. This is capped at 300:1 with a default leverage of 1:50. It’s clear that this may well be conducive to safeguarding an investor’s capital. However, some traders may feel the lack of additional leverage is limiting their potential. Traders can finance their accounts using major credit cards, e-wallets, wire transfers and local payment methods, as well as online options such as Skrill, Neteller and PayPal. Fees apply when investors are trading CFDs overnight, otherwise, there are no charges for account inactivity or withdrawals. These fees are more or less at the same level as is the case with other brokers. Besides its proprietary platform, Web Trader, Markets.com makes available MetaTrader 4 (MT4) to traders seeking a third-party platform. Developed by MetaQuotes Software Corporation and released in 2005, MT4 is the most popular trading platform for forex and CFDs worldwide. In the same year, a mobile version was released and both have become well-liked everywhere. In 2010 MetaQuotes Software launched MT5, with extra features that make it useful for other types of investments, besides forex and CFDs. Automated or algorithmic trading is a feature of MT4 and some brokers offer a version suitable for Mac OS, as an alternative to the traditional Windows software. This is the case with Markets.com. 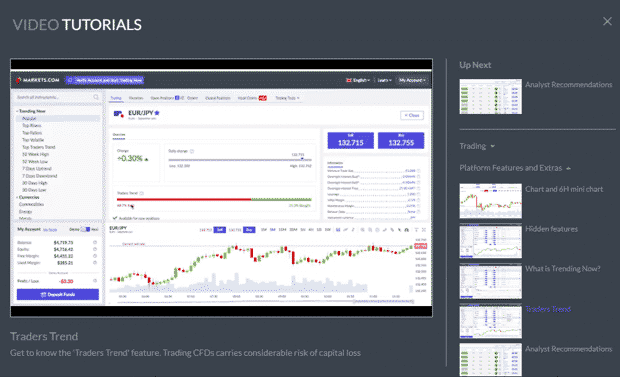 Traders like the platform for its flexibility – it provides robo trading and the opportunity for customising personal trading scripts. Web Trader is the company’s proprietary platform and is also available in mobile form. It has an attractive interface which is simple to navigate. Traders will find the largest selection of products provided by Markets.com on the Web Trader platform. There are 55 currency pairs and more than 2,000 CFDs. Markets.com offers an impressive array of more than 90 indicators to allow traders to make the most of technical analysis for charting. 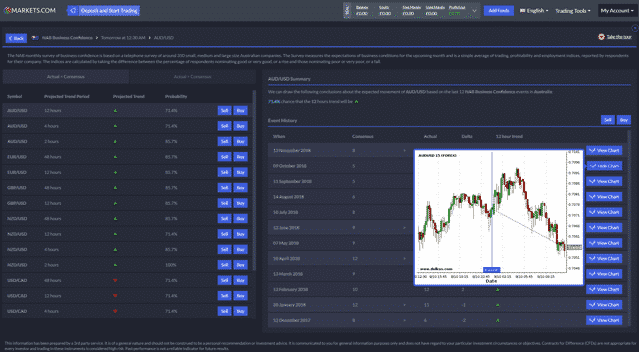 In partnership with Trading Central, Markets.com also offers a unique high-quality indicator that uses automated technical analysis to forecast movements in the markets. Traders and investors who prefer good technical analysis will particularly enjoy these features, although as mentioned in some of the Markets.com reviews, the relatively small number of drawing tools is likely to disappoint and undermines the charting function. 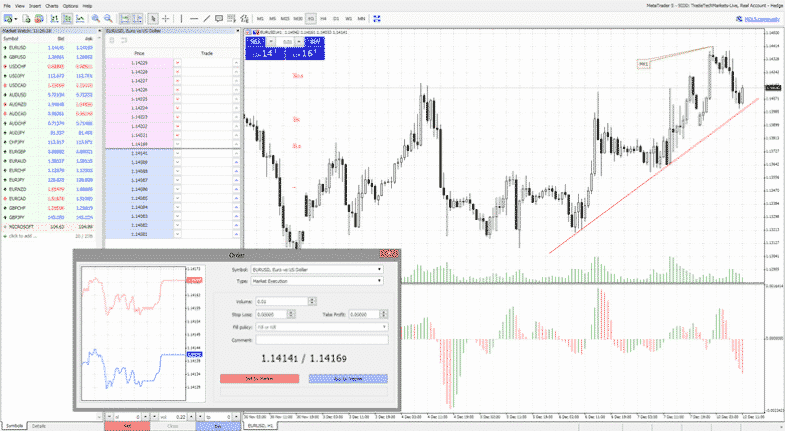 Web Trader has a contemporary design and layout and uses HTML5. 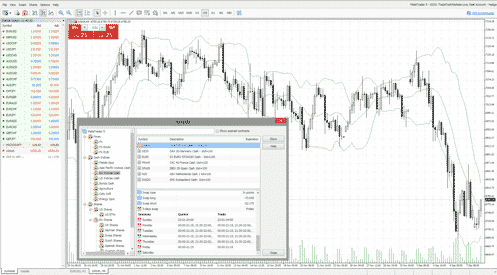 Traders can easily switch between a variety of different modules and there are plenty of advanced features. Instruments are displayed in a similar fashion to the Plus500 platform, such as using a high-quality star icon to identify favourites in a watchlist. Provision of news and research is rather sparse, although what is provided is extremely good in terms of quality. Charts can be viewed in almost every page and this helps traders to stay focused on price action – recent as well as current. Clicking on a symbol in a watchlist, causes any open chart to instantly switch to that instrument. 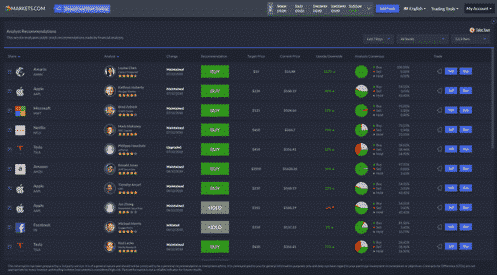 The Web Trader platform is available in 15 languages comprising English, Arabic, Danish, Czech, Dutch, Finnish, German, French, Italian, Greek, Norwegian, Spanish, Polish, Swedish and Russian. The mobile Web Trader platform additionally covers even more languages including Hungarian. The customer support service at Markets.com communicates in three languages – Spanish, English and Italian – and the response via online chat is particularly professional and knowledgeable, via both mobile and desktop devices. Customers using the telephone will find numbers listed as local, thus avoiding hefty international call charges. There are more than 30 offices and helplines worldwide, and complaints are all dealt with by a central department, so customers get assistance promptly from experienced personnel. Email responses are not quite as speedy; however, this issue could easily be addressed with dedicated addresses and automatic courtesy replies. In surveys identifying areas that are strong or weak in terms of customer service. found that the average connection time to get through to Markets.com was less than one minute. The broker review awarded a score of 5 (out of a possible 10) for professionalism with an overall score of 6.5 (out of a possible 10). The overall ranking was rather disappointing at 33rd, out of 43 brokers. Trading Central is in partnership with Markets.com to provide better quality research by bringing in tools and services supplied by Delkos. 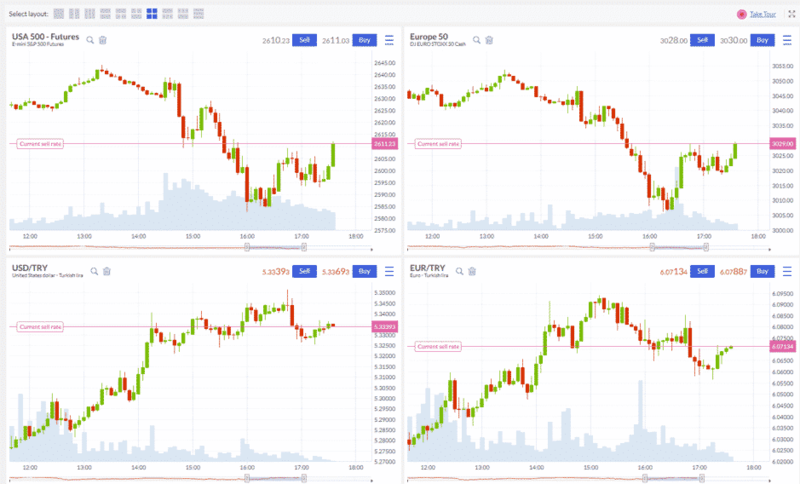 In this way, Trading Central assists traders to gain access to a much wider selection of content and features, including trading signals and indicators. Markets.com is now able, therefore, to provide detailed research reports on the company’s single share CFDs. There is no doubt that trading CFDs is risky, despite the availability of detailed technical analysis, and traders new to them should ideally be able to find out as much as possible about them before starting to trade. Investors at Markets.com can easily view a ‘snapshot’ of current market trends when required. The broker gathers information and news from a number of sources, including investing.com, which is a worldwide financial portal. Some reviewers have argued that Markets.com is not competing well in respect of research resources with major brokers such as IG Group and City Index. Perhaps as the partnership with Trading Central continues to develop, this element will improve. With trading available in more than 2,200 markets, this rapidly growing broker offers clients online accounts that are accessible from both desktop and mobile devices. Two in-house platforms allow clients to make immediate deposits and relatively quick withdrawals, and the signing up process is simple to initiate. 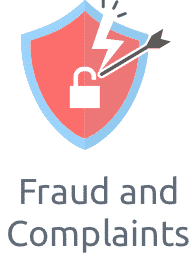 Once identity has been verified, clients can begin to trade and upload documents as required. Research tools are included in the mobile version plus a module that links charts, as well as the same star icon to add favourites as is used in the desktop version. One drawback is that the mobile Web Trader app watchlist does not sync with the desktop Web Trader platform. Another is that the charting has no ability to add indicators and no drawing tools. However, there are still several different types of charts and time frames that can be used. Markets.com is regulated in a number of jurisdictions and provides leverage according to local rules. Note: You have to reside in the jurisdiction to get the leverage – you cannot live in the EU and get an Asia account to get a higher leverage. This is the same for all operators as ESMA has been punishing Brokers who have been allowing clients to try and get around the leverage rules. In order to arrive at a balanced Forex broker review, most reviewers will take stock of the scope and range of what’s on offer, what it costs and what are the pros and cons. 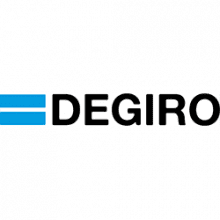 A comprehensive overview is needed to reach a conclusion about whether the products and features of each comparator meet the needs of the individual investor. 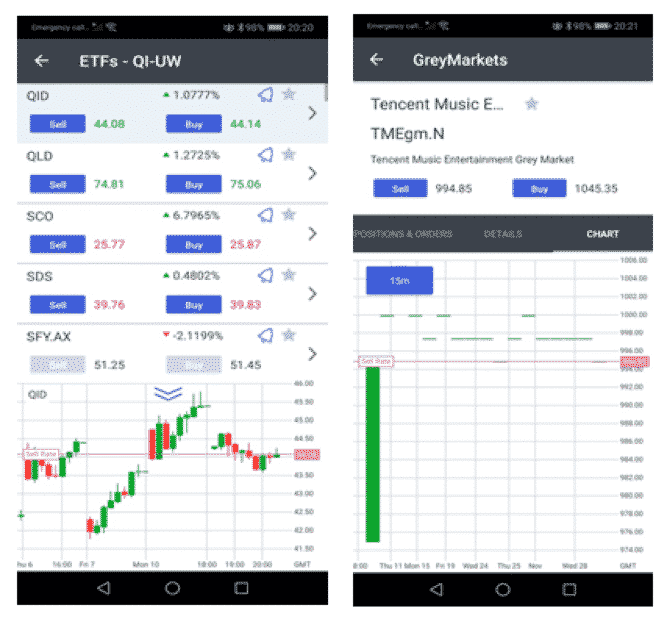 Certainly, the options for trading with Markets.com are generous, and there are more than 2000 instruments available within the company’s trading platforms. Negative balance protection is important when investors trade with leverage, and the fee structure at Markets.com is one of the most competitive within CFD brokers. The lack of more robust regulators is something of which to be aware, however. In many respects, Markets.com is a credible broker if an investor wants to focus on CFD trading only. If regulation issues are not an obstacle, due to the LSE status of the parent company, then Markets.com can provide a good place to begin trading CFDs. Until such time as the company improves it’s learning and research offer, however, it would be wise to look elsewhere initially for in-depth information and research, particularly about the CFD markets. CFDs are complex instruments and come with a high risk of losing money rapidly due to leverage. 76.6% of retail investor accounts lose money when trading CFDs with this provider. You should consider whether you understand how CFDs work and whether you can afford to take the high risk of losing your money.